What's in the NCDB Library? 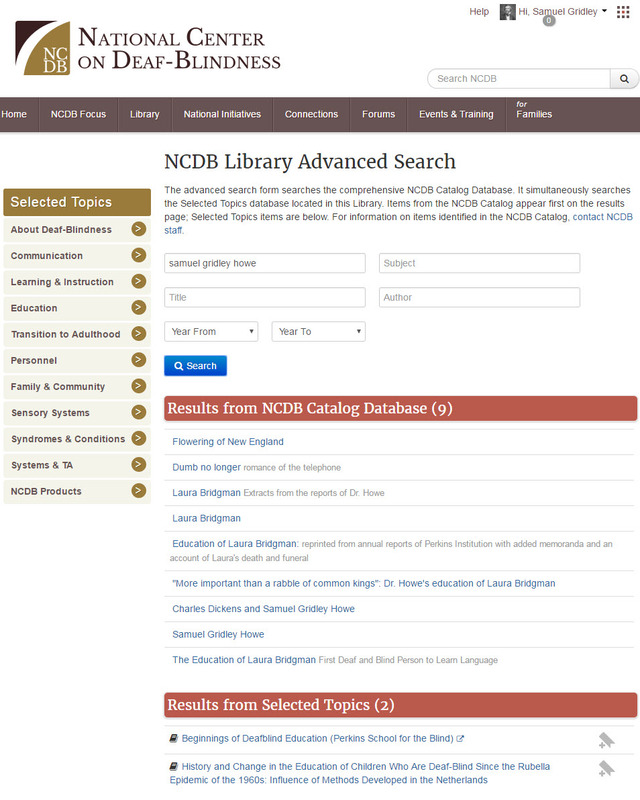 The Advanced Search feature will search both the NCDB Catalog Database and Selected Topics (see What’s in the NCDB Library? for more information on what these are). Mouse over Library in the main navigation bar; then click Advanced Library Search in the drop-down menu. You can search in one or more of the following boxes: Keyword, Subject, Title, and Author. Keep in mind that the more information you put in, the fewer results you’re likely to get. It’s often helpful to experiment with a few different searches until you get the results you want. Results from the NCDB Catalog Database will be first. Click on an item to view more information about it. In some cases, there will be a link that will take you directly to the resource, but most of the items in the database aren’t available for free online. To find out how to get a copy of a resource, contact NCDB. Scroll down the page for results from Selected Topics. All these are free online resources, so you can click on any item to go directly to the resource. Note: There may be some overlap between the NCDB Catalog Database and Selected Topics results. This is because we sometimes catalog items in both places.